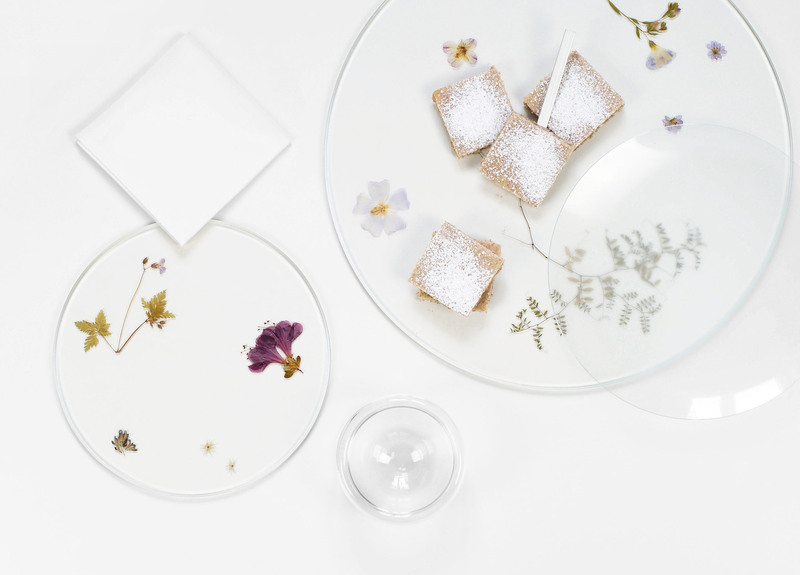 Harde's Evergreen Platters are decorated with floral motifs. 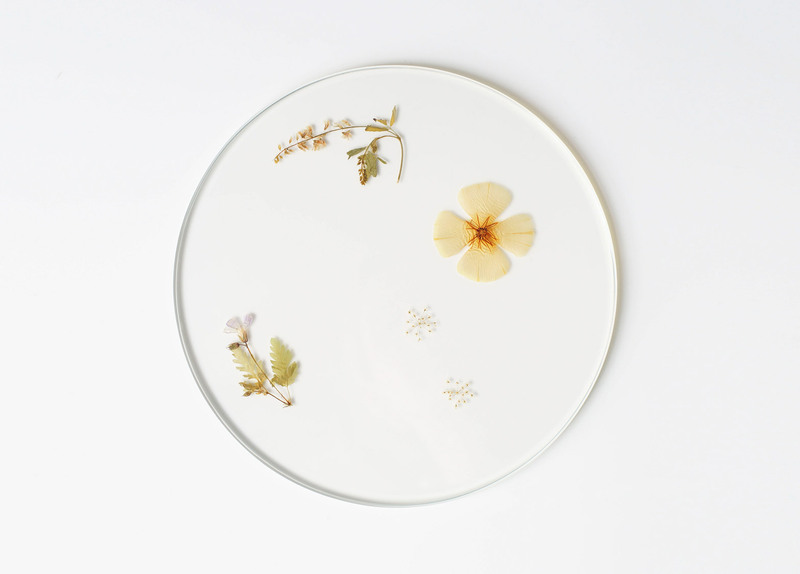 But rather than painted or enamelled on top, real plants are embedded inside the tableware. 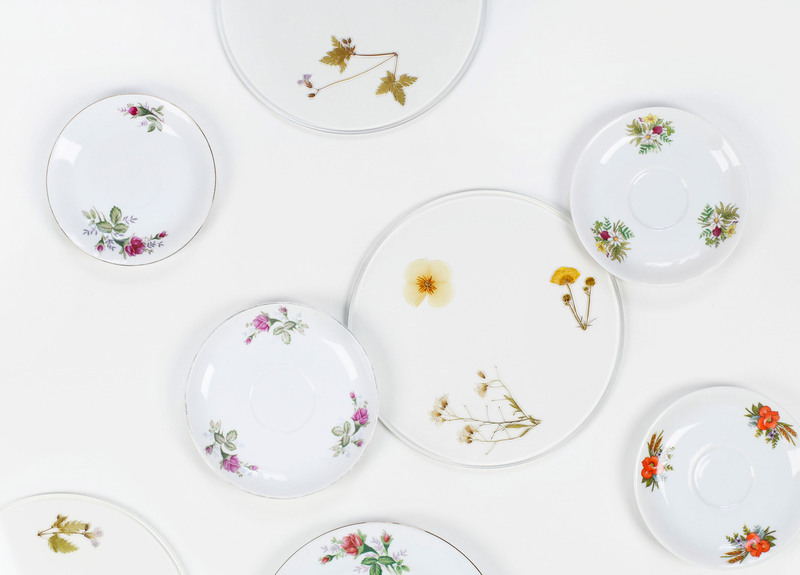 "Since antiquity, nature-inspired motives have been represented in commodity objects," said the designer, whose previous projects include a set of textile storage units. 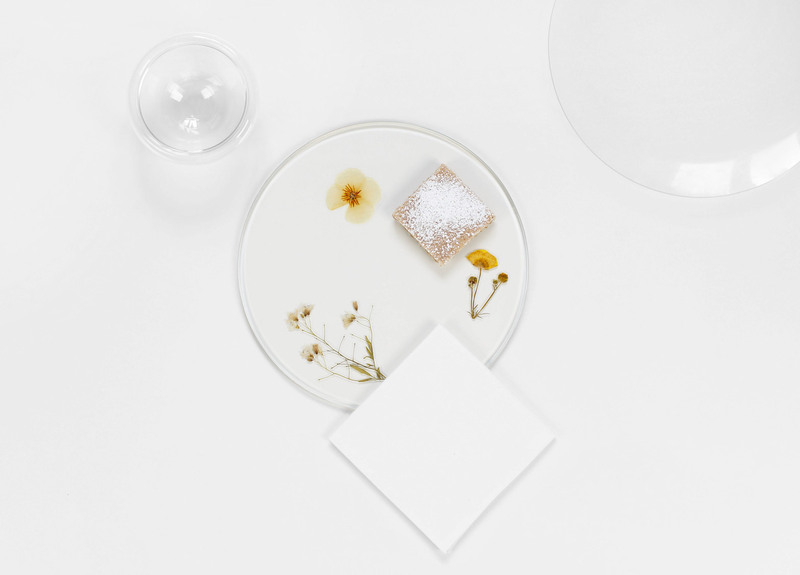 "Particularly in the context of tableware, blossoms are a central stylistic device." 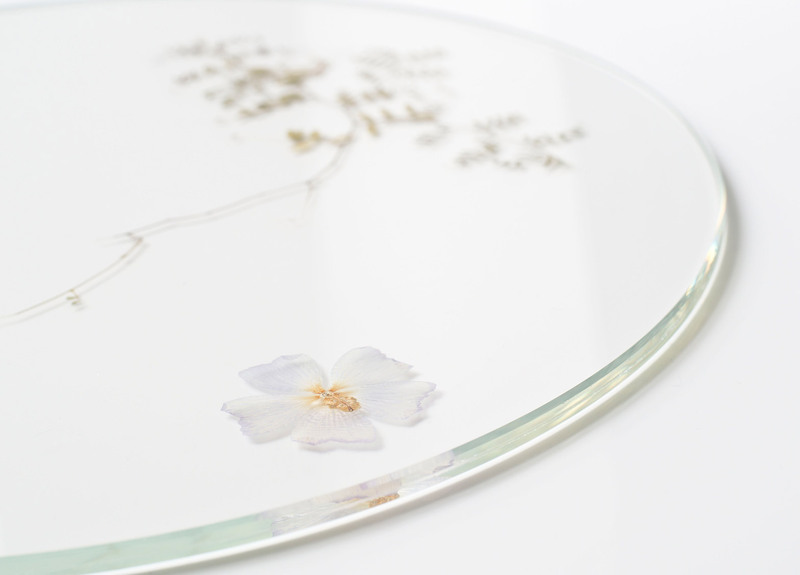 The circular transparent plates reveal the petals and stem captured inside, which are visible from either side. 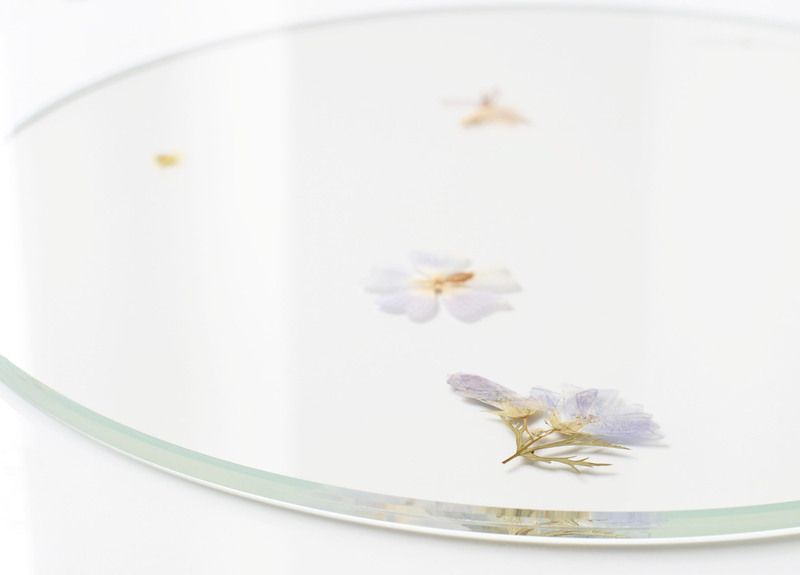 "By the durable embedding of blossoms in glass, the fragility of nature in this moment is conserved; the plants becomes objectified and are transported into the living area," Harde said. 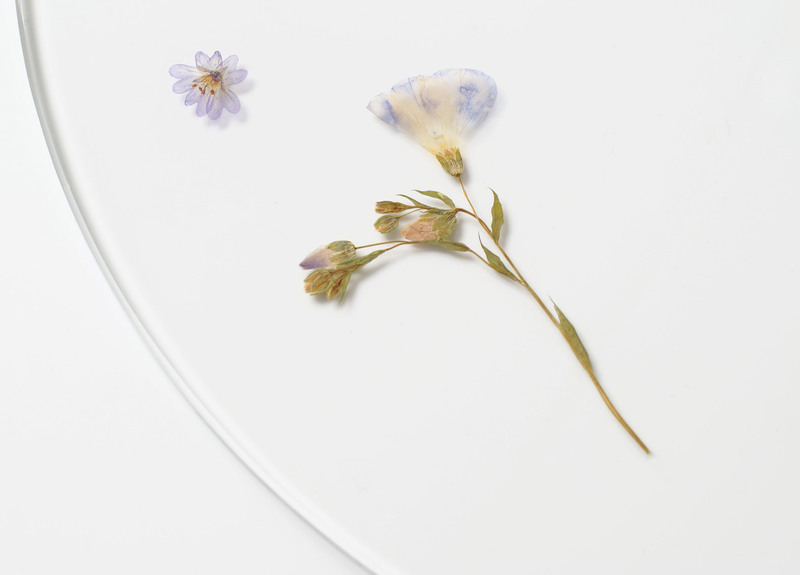 Harde first collected the range of specimens over different seasons, including wildflowers on their stems, leafy twigs and flower heads. 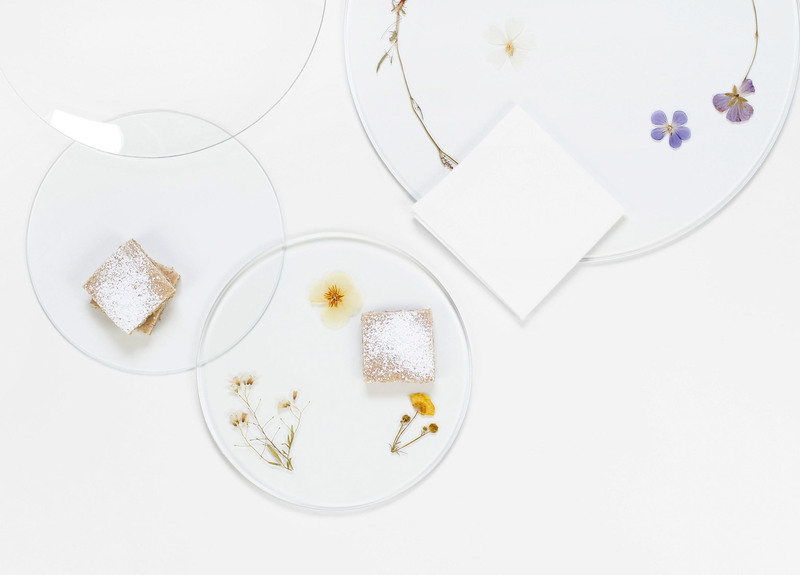 These were then dried and pressed for three weeks into two-dimensional forms, then sandwiched between two layers of glass and baked in a vacuum oven. 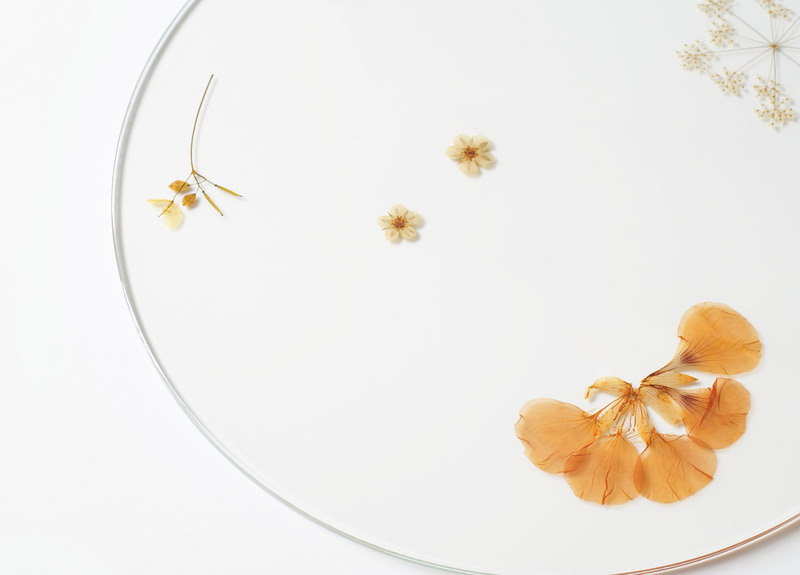 The effect is similar to Shiro Kuramata's iconic 1988 Miss Blanche Chair, which features flowers embedded within its cast-resin arms and seat. 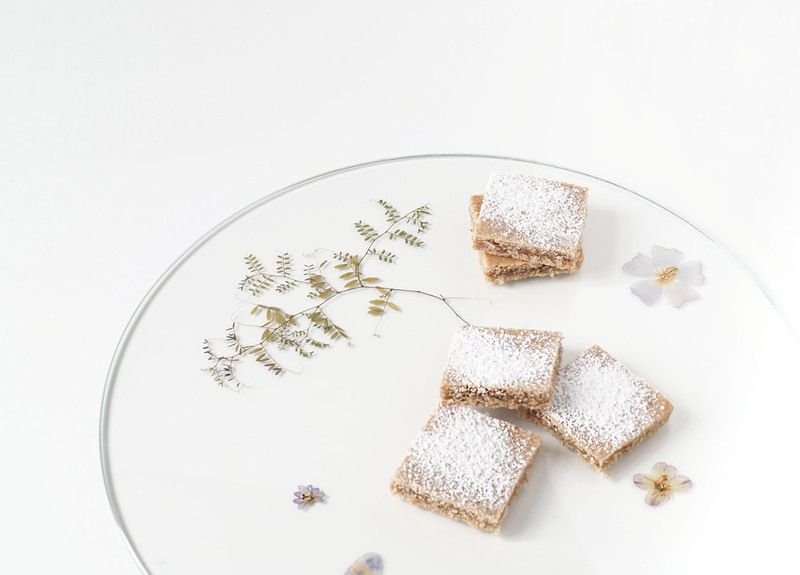 The Evergreen Platters come in a variety of sizes. 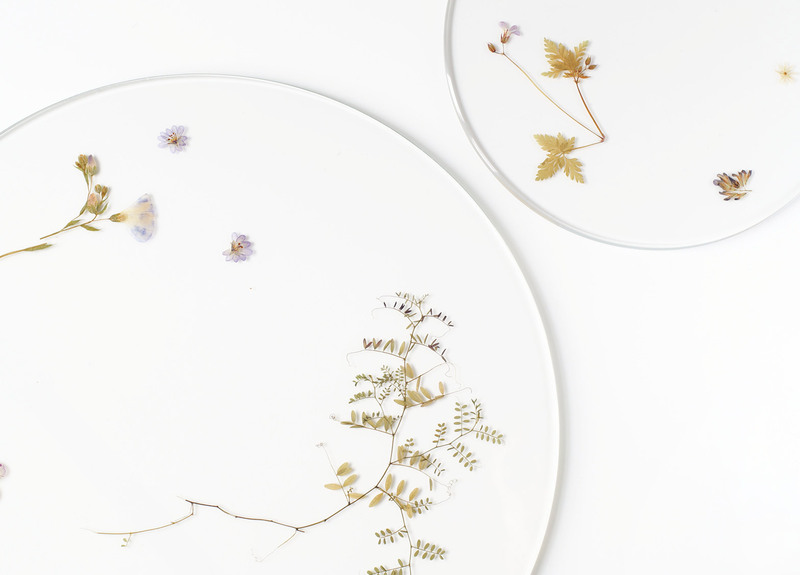 Each of the plants and combinations is unique, so all of the platters in Harde's collection are also different. Another designer that has played with the effect of combining plants and glass is Bilge Nur Saltik, who created a line of hand-cut patterned vessels that create a kaleidoscope effect when filled with flowers. 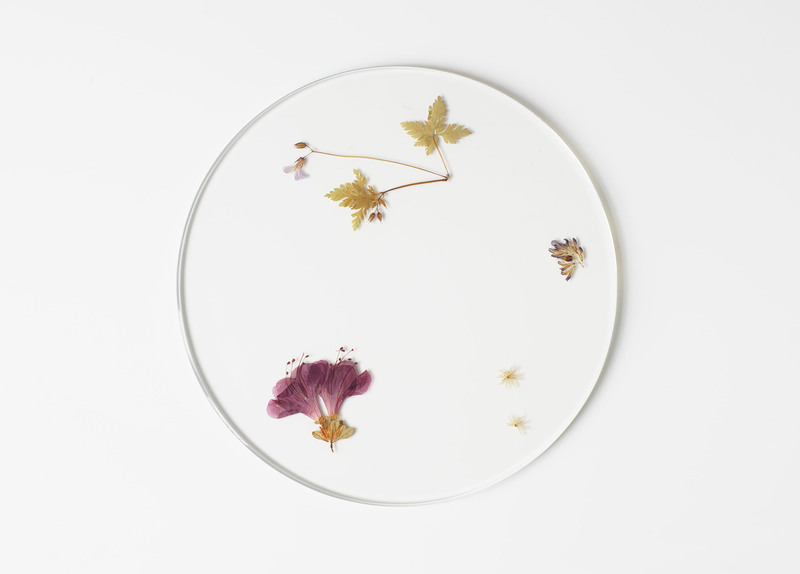 Meike Harde has a studio in Cologne. Her previous projects include a range of benches and stools made from folded foam mats and elastic bands, and masks that replace the wearer's features with idealised ones from the media.